From the 4th of February 2018, all expatriates seeking work and residence authorisation for the UAE will need to secure a Certificate of ‘Good conduct and Behaviour’ before their application is approved. As per the decision made by the UAE’s Council of Ministers (No. (1/8) 2017), ‘Certification must be obtained from all of the countries the applicant has resided in within the 5 years prior to application’. 1- What is a good conduct certificate? It is a certificate issued by the country of origin of an expat who is coming to the UAE on a work visa. If he/she had been residing in any other country than his/her home country, the expat needs to produce the certificate from that country. Once issued, the certificate will need to be attested by the UAE Embassy/Missions in the issuing country, as well as the Ministry of Foreign Affairs in the UAE before a visa is given. This new process is only applicable to NEW applications, current residents looking to renew will not be affected. 3- What about dependants and visitors? Currently, accompanying dependents are exempt from this requirement. It will also not apply to individuals coming to the UAE on visit or tourist visa. 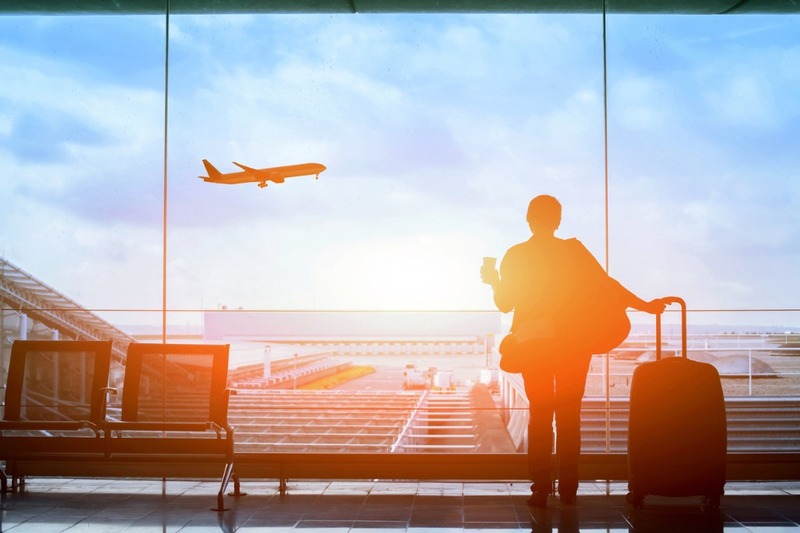 Employers should be aware of the process involved in the countries they relocate employees from, as the timeframes and steps required vary greatly from country to country. 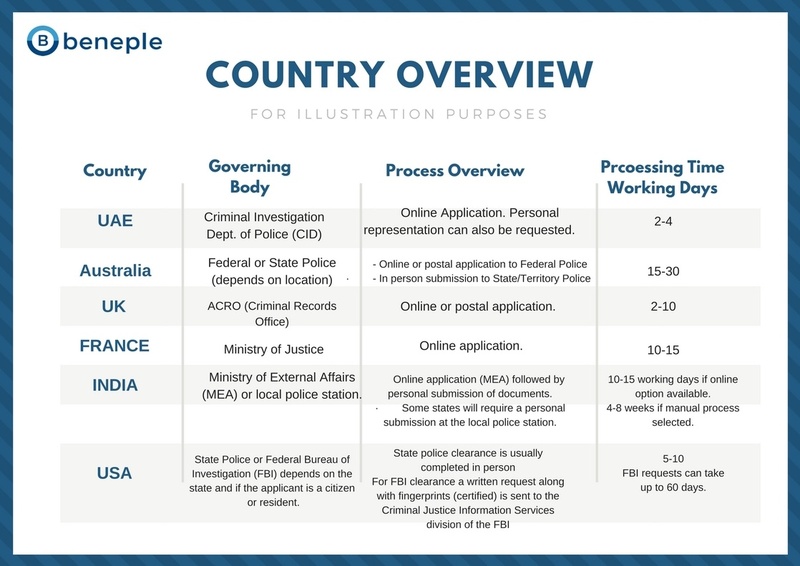 The table below is a snapshot of processes and timelines for some countries. In addition, where personal representation and/or fingerprinting is required, employers should make sure the prospective employee obtains their certificate prior to travelling to the UAE, or they may have to return to their country of origin to complete the necessary steps. 4- Will this lead to a safer UAE? While this new measure will add additional lead time to the relocation and visa application process it will eventually lead to a much safer UAE. “Making the UAE one of the safest countries in the world is the government’s main aim,”said the committee in charge of implementing the Cabinet resolution. *Beneple DMCC accept no liability for loss occasioned to any person acting or refraining from acting as a result of material contained in this post. The content of this post does not constitute advice and should not be relied upon as such. Professional advice should be taken about your specific circumstance. This entry was posted in Business, good conduct certificate, immigration law, labour law, News, overseas hire, Recruitment, Uncategorized and tagged beneple, employees, recruitment.